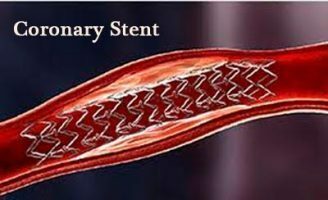 Physician researchers at Thomas Jefferson University suspect that some cases of coronary artery spasm go unrecognized and are incorrectly treated with stents. The good news there could be a simple fix to eliminate these unnecessary stenting procedures. The team published a case series in Catheterization and Cardiovascular Interventions describing six patients who were scheduled for angioplasty and stenting for the diagnosis of coronary artery disease (five of whom had a cardiac catheterization days prior). However, when the cardiologists gave nitroglycerin prior to placing the stent, the blockages resolved, indicating the true diagnosis of coronary artery spasm. Angioplasty was deferred and all patients were successfully treated with medication. “Interventional cardiologists should be especially suspicious of coronary artery spasm when they encounter a patient under the age of 60 with disease isolated to a single vessel. We recommend that future guidelines include intracoronary nitroglycerin for these patients,” he said.